In the late 1990s, we were able to demonstrate that PMDD was not a hormone deficiency disorder but rather a hormone sensitivity disorder; i.e., normal levels or changes in reproductive steroids (estrogen and progesterone) triggered the symptoms of PMDD but did so only in a subgroup of women who, for unknown reasons, were sensitive to these hormonal changes. We subsequently demonstrated the same phenomenon in women with a history of postpartum depression. We showed, therefore, in two mood disorders – PMDD and PPD – that changes in hormone levels that had no effect at all on mood in most women were capable of triggering substantial mood changes in a subgroup of women. But what was responsible for this differential sensitivity? We now have at least a partial answer. In the January issue of Molecular Psychiatry, Neelima Dubey, Jessica Hoffman and colleagues demonstrated that the cells of women with PMDD differ from those without PMDD in both their baseline functioning and in their response to estrogen and progesterone. These findings show that an important family of genes that regulate the response to both the internal and external environments are more active in women with PMDD and, of greater interest, respond differently when the cells are exposed to estrogen or progesterone. In other words, the cells themselves were differentially sensitive to reproductive steroids, just as women with PMDD show differential behavioral response to changes in reproductive steroids. These findings are important for three reasons: 1) they demonstrate a biological basis for PMDD; and 2) they may help us identify targets for developing effective therapies; and 3) they provide clues to help us understand how a biological signal may be transformed into a change in mood and behavior. No one needs to be told that abuse is not good for your health. Recent studies, however, have revealed a new possible consequence of abuse, namely premenstrual dysphoria [1-4]. Further, it looks like PMDD not only represents an enduring lesson that the body has learned from the stress surrounding abuse, but PMDD also “rewires” the effects of abuse from those seen in the absence of PMDD . These conclusions emerge from several lines of evidence. First, decades old studies identified a link between abuse and PMDD, with a greater proportion of PMDD reporting a history of physical or sexual abuse compared with women without PMDD . Second, women with a history of PMDD and abuse have higher pain sensitivities and a significantly increased prevalence of migraine with aura, but women with an abuse history lacking PMDD fail to show these increased rates of pain sensitivity . Third, women with a history of PMDD and abuse have multiple measures of disturbed cardiovascular function both at baseline and after challenge tests, but abuse does not predict these enduring physiological differences in women without a history of PMDD . How can we make sense of the special physiological state that appears to accompany the combination of PMDD and history of abuse? As inferred from studies showing persistent hormonal consequences of combat in men and abuse in women, genetic vulnerability coupled with severe stress may contribute to these disorders . According to this model, genetic factors that may influence resilience or stress maladaptation are likely separate from those that cause hormone sensitivity (the source of PMDD), but these genetic “systems” are nonetheless capable of interacting with each other to generate very specific (albeit distributed) biological effects. Thus the enduring biological effects of women with PMDD and a history of abuse are different from those seen in women with solely a history of one condition or the other. Another possibility would suggest that the recurrent experience of symptoms in PMDD (rather than the genetic predisposition to PMDD) might interact with either the physiological consequences of abuse or the absence of protective, resilience factors to yield the abnormalities observed. In either case, there are several important take-home messages. First, it is likely that the recurrent symptoms of PMDD are not without enduring, physiological impact, much as has been demonstrated for abuse histories. And second, understanding the means by which different stress-linked disorders interact – either at the level of susceptibility or recurrent symptom expression – will be critical to our ability to identify and prevent the risks to health that women with abuse and PMDD experience. Paddison, P. L., Gise, L. H., Lebovits, A., Strain, J. J., Cirasole, D. M., & Levine, J. P. (1990). Sexual abuse and premenstrual syndrome: comparison between a lower and higher socioeconomic group. Psychosomatics, 31(3), 265-272. Golding, J. M., Taylor, D. L., Menard, L., & King, M. J. (2000). Prevalence of sexual abuse history in a sample of women seeking treatment for premenstrual syndrome. Journal of Psychosomatic Obstetrics & Gynecology, 21(2), 69-80. Koci, A., & Strickland, O. (2007). Relationship of adolescent physical and sexual abuse to perimenstrual symptoms (PMS) in adulthood. Issues in mental health nursing, 28(1), 75-87. Perkonigg, A., Yonkers, K. A., Pfister, H., Lieb, R., & Wittchen, H. U. (2004). Risk factors for premenstrual dysphoric disorder in a community sample of young women: the role of traumatic events and posttraumatic stress disorder.The Journal of clinical psychiatry, 65(10), 1314-1322. Fleischman, D. S., Bunevicius, A., Leserman, J., & Girdler, S. S. (2013). Menstrually Related Mood Disorders and a History of Abuse: Moderators of Pain Sensitivity. Girdler, S. S., Leserman, J., Bunevicius, R., Klatzkin, R., Pedersen, C. A., & Light, K. C. (2007). Persistent alterations in biological profiles in women with abuse histories: influence of premenstrual dysphoric disorder. Health psychology: official journal of the Division of Health Psychology, American Psychological Association, 26(2), 201. Heim, C., Newport, D. J., Bonsall, R., Miller, A. H., & Nemeroff, C. B. (2003). Altered pituitary-adrenal axis responses to provocative challenge tests in adult survivors of childhood abuse. FOCUS: The Journal of Lifelong Learning in Psychiatry, 1(3), 282-289. Check out this interview with Dr. Samantha Meltzer-Brody on postpartum anxiety and depression! After the dust settled we admitted our first patient on Aug. 15th, 2011. Since then have admitted over 115 patients, including treating patients from Iowa, Washington, DC, Florida and South Carolina and fielding referrals from many other states. Average length of stay is 9.73 days with a mean of 7 during the last 3 months. This is consistent with overall year’s data. Data collection has evidence of improved outcome measures in patient’s report in areas of depression and anxiety. Currently have 5 core staff – 1 RN certified in advanced fetal monitoring; 6 RN’s certified in basic fetal monitoring. April 2012- Dr. Samantha Meltzer-Brody – named one of the Triangle’s top Ten women in Medicine and also named Sanders Clinical Scholar. 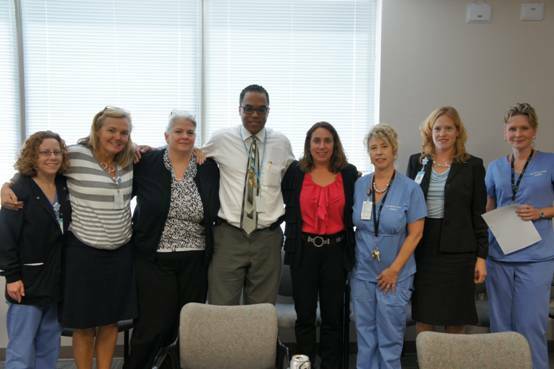 Summer 2012 – DeeDee Fryer – recognized as a UNC Plus Person in the Growth Pillar for achievements on the perinatal unit. Samantha Meltzer-Brody, UNC Chapel Hill Associate Professor and Director of the Perinatal Psychiatry Program, was interviewed in Huffington Post on the cyclical nature of depression and poverty. Be sure to check out the full article at the link. Also, to learn more about Dr. Meltzer-Brody’s research, visit http://www.med.unc.edu/psych/directories/faculty/samantha-meltzer-brody-m-d. The UNC Center for Women’s Mood Disorders and UNC Eating Disorders Program are partnering to host the 7th annual Women’s Mental Health Conference on November 5, 2011. The theme of this year’s conference is Women’s Mental Health Across the Lifespan: Puberty, Pregnancy and Perimenopause. We are thrilled that many of our wonderful UNC faculty members will be here to share their clinical experience and discuss new treatment strategies. Our special guest speakers are Rebecka Peebles, MD, Assistant Professor of Pediatrics at Children’s Hospital of Philadelphia and Katherine Wisner, MD, MS, Professor of Psychiatry, OBGYN, and Epidemiology at the University of Pittsburgh. appraise when specialty referral is required. Please join us! Registration is now open. Learn more about our new Perinatal Psychiatry Inpatient Unit in this segment from WUNC’s The State of Things. Dr. Meltzer-Brody talks about how our new unit came to be and former UNC patient Amy Martin talks about her experience with postpartum depression.